I had a big container of blueberries in the refrigerator and was wondering what to do with it. I wanted to make something healthy but quick and simple. 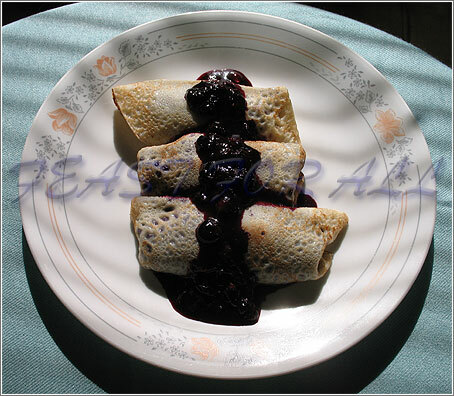 I have seen a lot of blueberry blintzes recipe. But most of them have a lot of cheese filling with blueberries or just cheese filling with blueberry sauce. So I thought to replace the cream cheese filling with ground almond. Almonds are very healthy and have a lot of nutrients. When I made it, I loved it and addition of ground almonds gave a slight crunchy taste to the filling.